Which other 7-seat SUV can beat a Dodge Hellcat down the ¼ mile strip? With 762 horsepower and 791 lb-ft of torque, a 100kWh battery powering all 4 wheels, the Model X P100D can. 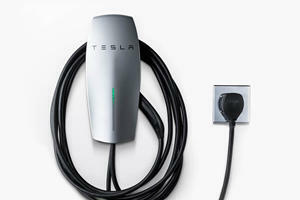 Fastcharging enables a full charge in less than an hour, while regular 75kWh charging takes six and a half. Tesla’s Autopilot functionality is available for a fully autonomous experience that divides opinions wherever you go. Available safety specification is high, including 12 airbags, ABS brakes, adaptive cruise control, and forward collision avoidance with autonomous emergency braking. 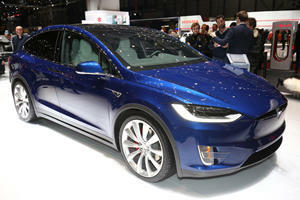 The Tesla Model X might not have the same importance in the market domain as the Model 3. 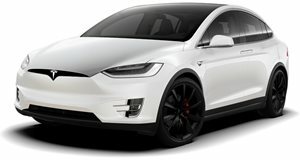 But as an all-wheel drive SUV with up to 7 seats, if you want a full size family car powered completely by electricity, then the Model X is important in its own right. Falcon wing doors and unique styling set it apart from the usual humdrum SUVs, and in the focus of this review – the P100D – there’s immense straight line speed on offer for just a slight compromise on range, a difference that’s almost negligible in the grand scheme. A low step-in height and tall roof make ingress and egress easy in the Model X – and the falcon wing doors are more convenient in some ways than traditional hinged doors – even if they open a bit slowly. Low roofed parking areas also pose problems for the Model X. Once inside, the dash is dominated by the large portrait orientated screen that controls all interior functionality. At 5,531 pounds, the P100D’s weight is inescapable – though with most of it centered low in the floor pan does well to alleviate some problems it might otherwise have suffered from. There’s also air suspension to help manage and control the weight. The air suspension does a fair job of creating a compliant ride, impressively eliminating float and the head-bobbing sensation that comes with it. Around corners, there’s minimal body roll and good body composure – it’s no sports car, but it’s more composed than many SUVs. But the choice of wheels is crucial – as speccing the 22-inch options makes the ride jarring and jittery on all but the best surfaces. Stick to the standard 20s. The steering is decently direct, though lacking in feel, but can be too weighty in Sport mode. Regenerative braking is ever-present, and fairly aggressive, allowing for one-pedal operation most of the time. The seats are comfortable and supportive, and materials within the cabin feel of a decent quality. Several configurations are available to seat 5-, 6-, or 7- occupants, with the second and third rows featuring fold-flat functionality to improve cargo volume. With the third row in place, volume sits at a healthy 13 cubic feet, growing to 68 when folded flat. With only the front seats in place, there’s an enormous 88.1 cu ft, and that’s not including the 7 cu ft front trunk in place of a traditional engine. The P100D is the most performance orientated Model X – sacrificing some range in the process. 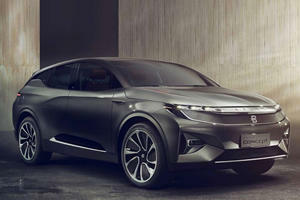 A 100kWh lithium-ion battery pack powers two motors driven through a single-speed gearbox that drives all four wheels. Power outputs are 762 horsepower and 791 lb-ft of torque. The P100D offers incredible performance – 0-60mph taking a supercar-scaring 2.9 seconds, with a range of 289 miles being only slightly less than the 100D’s 295-mile range. The P100D can also tow up to 5,000 pounds. Fastcharge enabled, 100% battery charge can be accrued in 45 minutes. On a 75kWh home charger, full charge takes six and a half hours; the 100kWh charger dropping that to around four. No Tesla this expensive is ever not well equipped. The Model X features 14-way power adjustable heated front seats, 4 USB outlets, auto-dimming mirrors, a 240-watt nine speaker audio system, and massive panoramic windscreen as standard. Cruise control, a reverse camera, and a powered tailgate are also standard. The Model X P100D scored 5 out of 5 stars in NHTSA testing, with advanced safety features like autonomous emergency braking, collision avoidance, 12 airbags, and available Autopilot functionality – though the latter is only a safety feature when you’re paying attention too. The Model X P100D is a novel concept – supercar beating straight line speed, space for 7 occupants, and the infamous falcon-wing doors. But the gimmicks are finicky and don’t work fluidly, and practicality lacks behind more conventional SUVs. If family mobility with a clean conscience is your idea of a good time – this is right up your alley. Tesla says that there is no way that could happen. A great solution, as long as you have the right plug. The ultimate hi-tech rolling lounge comes with a ton of gadgets.